Matthew J. Hank | Littler Mendelson P.C. 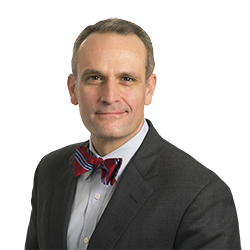 Matthew J. Hank defends employers in, and counsels employers concerning, wage-and-hour class actions, discrimination and harassment cases, and actions regarding trade secrets and covenants not to compete. He approaches each matter with the judgment formed by over 14 years of employment practice and with the discipline he honed as both a lawyer and an Army officer. Joseph v. Quality Dining, Inc., 244 F. Supp. 3d 467 (E.D. Pa. 2017) and Cicero v. Quality Dining, Inc., No. 1–16–cv–05806, 2017 WL 1217132 (D.N.J., Apr. 03, 2017). Lead defense counsel for the employer in two hybrid collective and class actions regarding whether expediters could be in a valid tip pool under federal and state wage law. Successfully dismissed both lawsuits without prejudice to individual arbitration following removal (Joseph) and transfer of venue (Cicero). Hargrove v. Sleepy’s, LLC, 2018 WL 1092457 (D.N.J. Feb. 28, 2018). Lead defense counsel for the employer in a wage class action. Defeated plaintiffs’ motion for class certification on ascertainability grounds. Dickerson v. KeyPoint Government Solutions, Inc., No. 16–657, 2017 WL 5755099 (D. Del. Nov. 28, 2017). Lead counsel for the employer in case involving various theories of discrimination and common-law claims. Won summary judgment on the ground that plaintiff lacked evidence to support any of these theories. Mazarki v. Bright Horizons Children’s Centers LLC, No. 3:16-1885, 2018 WL 3207379 (M.D. Pa. June 29, 2018). Lead counsel for the employer in an age-discrimination case. Won summary judgment on the ground that plaintiff lacked evidence of pretext.